– High efficiency, hermetic, refrigerant cooled compressor. 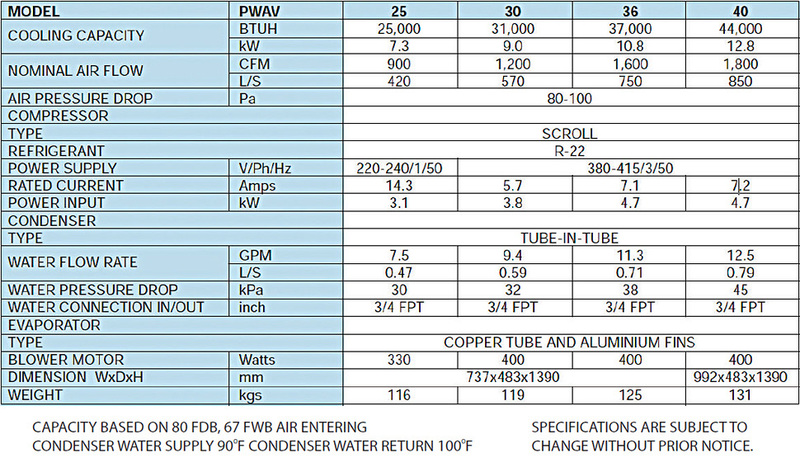 – High efficiency tube-in-tube condenser. 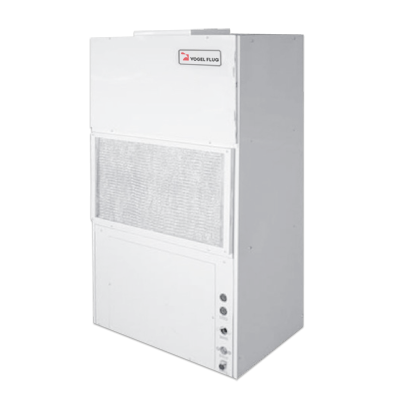 – The PWAV units are single package water cooled air conditioners. 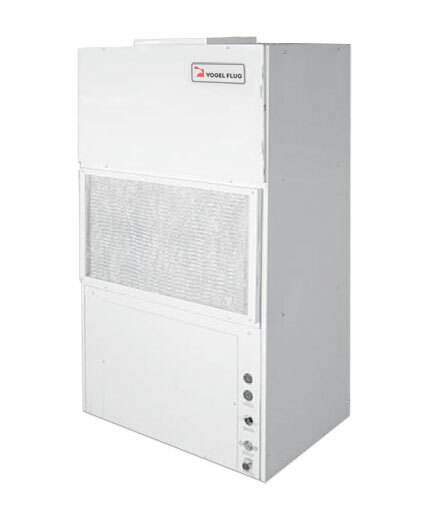 – The PWAV series includes 4 models of cooling system. – The PWAVJ for Cooling and Heating. – Suitable for vertical mount, indoor installation. – Free blow or duct system.